Add notes & annotations to any PDF document - comments, corrections, signatures, highlighting, even photos, designs and drawings. 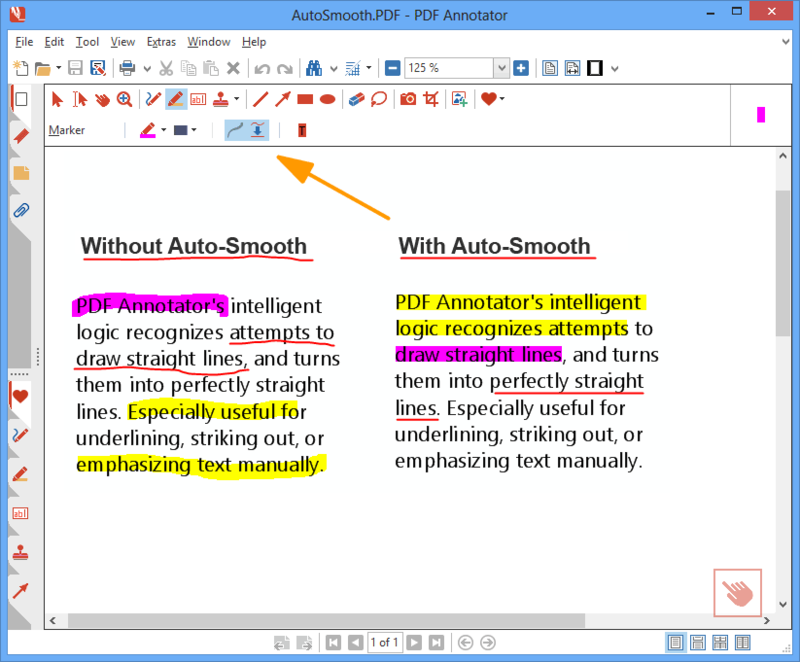 How does PDF Annotator work? Comments, corrections, signatures, highlighting, even photos and drawings. And on Tablet PCs: Handwritten annotations. Save annotations in the original file. Share them with coworkers, email them to clients, partners or back to authors. No special software is needed to view the marked up document! Restore to the original document at any time. Remove or hide all markup with a single click. Insert blank pages for more space. Combine documents, copy, re-order or remove pages. Deliver outstanding interactive presentations in meetings or lectures with PDF Annotator as your "digital whiteboard". Today, our software is being used by more than 320,000 happy customers in 149 countries. I have been an avid fan of PDF annotator for six years (I'm in science research). So I just wanted to email you and say THANK YOU! Thanks for creating such a great program and for making software that is so user friendly. As a consumer, I really appreciate it and you are definitely the exception in the field. I am in love with it and use it on a daily basis. It's a killer-app on a TabletPC. The real power and "Ah-ha" moment is when I pull up PDF Annotator in a video conference and my PDF becomes a virtual whiteboard. I write notes, edit drawings, solve problems, fill in blanks, in the group environment as if we are in a meeting room together. The whiteboard in the palm of my hand is my new most powerful application. I can live without most of the apps on my tablet if I have to. I can't live without PDF Annotator. 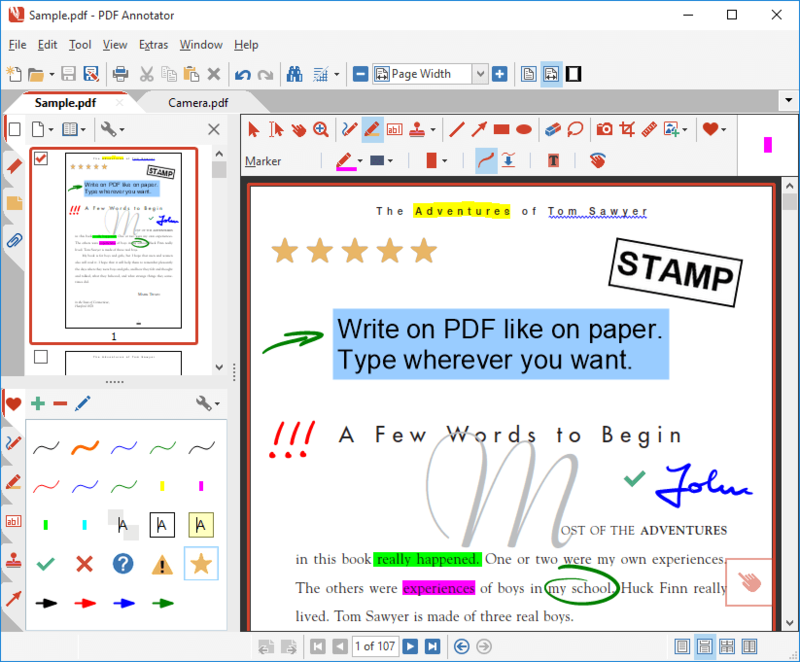 "Get ready to kiss Adobe Acrobat good-bye [...]"
"[...] because PDF Annotator is now available and it is packed with so much new functionality it’ll leave you saying “Acrobat who?”"
We're proud to see PDF Annotator being used by renowned companies and universities all over the world. Still, if it's just you, working with PDF Annotator, be assured you will receive the same support as any other client. Winner at Microsoft Tablet PC Contest sponsored by HP and PC Magazine! Get this must-have PDF tool for your PC! Either install our 30-day trial today, or make use of our 60-day money back guarantee. We know that you will like it.